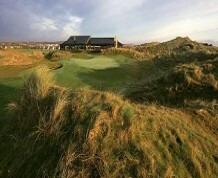 Seapoint was designed by Des Smyth and Associates this superb links course was opened in 1993. 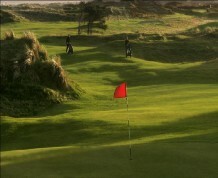 Voted #27 in Ireland by Golf Digest ireland and proud host to the Ladbrokes.com 2010 PGA Championships Seapoint is a championship course with a par of 72, measuring over 7, 000 yards. Mature trees border the course on the west and offer a contrast to the links, while water hazards come into play on six of the first nine holes. 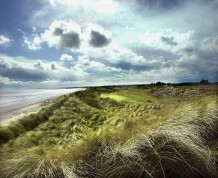 The closing holes are bordered by a beach and offer magnificent views of the Mountains of Mourne and the Irish Sea. The award winning modern clubhouse blends with the tranquillity and seclusion of the area. The bar area is informal and relaxing and has a balcony which overlooks the golf course, with views of the sea and the east coast.  On the coast,�30 minutes north of Dublin Airport. Get onto the M1 heading North and continue through the Toll Plaza and across the Boyne Suspension Bridge. Take the Drogheda North Exit. Then take the right hand exit (Monasterboice) from the first roundabout. Then at the third roundabout take the first left for the Monasterboice exit. Continue on this road and follow the signs to Termonfeckin. When you arrive in Termonfeckin you will be opposite a church. Turn left and cross a hump back bridge. Take the next right which will be signposted for Seapoint Golf Club which is 1 mile further on the right hand side.